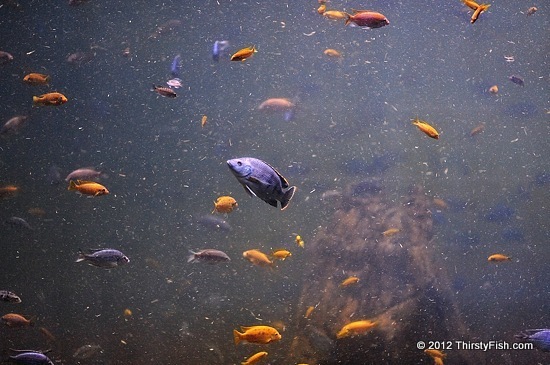 Imagine a fish, born in a fish-tank and spends all its life in an aquarium. For it, reality is limited to the confines of the tank, and what it might see through the glass; that's it. We, on the outside, know that there is a whole world beyond that of the fish in the aquarium. Sometimes I feel that way. I wish that I could break through the confines of my aquarium and experience that, which is outside... Release yourself from the bounds of your "mind aquarium". This was photographed at the Adventure Aquarium in Camden, New Jersey.